The drama from Chris Weitz ('About a Boy') is in the works for Blu-ray this October. In an early retailer announcement, Summit Entertainment will release 'A Better Life' on Blu-ray on October 18. 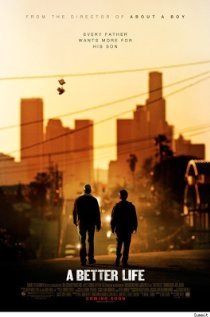 The movie tells the tale of a gardener in East L.A. who struggles to keep his son away from gangs and immigration agents while trying to give his son the opportunities he never had. Specs of yet to be detailed, but supplements will include Audio commentary with director Chris Weitz, deleted scenes, and "Jardinero" music video by Ozomatli. Suggested list price for the Blu-ray is $30.49. You can find the latest specs for 'A Better Life' linked from our Blu-ray Release Schedule, where it's indexed under October 18.